Annually, humans cause the discharge of around 30 billion tons of carbon dioxide (CO2) into the atmosphere, resulting in advancement of global warming and climate change, which will ultimately lead to the extinction of the human race. A team of scientists from the University of Toronto have discovered a solution to curb the amount of CO2 that is released into the atmosphere. This technique converts CO2 into energy-rich fuel in a carbon-neutral cycle, using a very abundantly available resource known as silicon. Silicon - the seventh most-abundant element in the universe and the second most-abundant element in the earth’s crust - is easily available in sand. For years, there has been a global race to discover a material that will be able to efficiently convert water, CO2, sunlight, or hydrogen into fuel. This attempt of trying to convert CO2 emissions to energy is not new. Although many studies have taken place in the past, a practical solution is still not available, mainly because of the chemical stability of CO2. 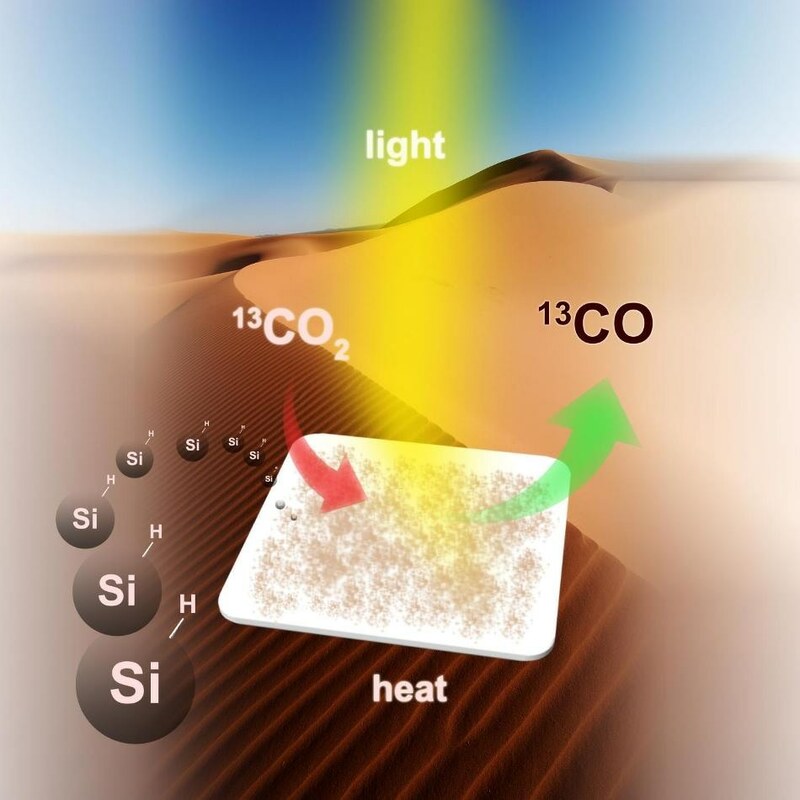 A chemistry solution to climate change requires a material that is a highly active and selective catalyst to enable the conversion of CO2 to fuel. It also needs to be made of elements that are low cost, non-toxic and readily available. Ozin and teammates stated that silicon nanocrystals satisfied all the criteria and published the same in Nature Communications’ issue dated 23rd August, 2016. The hydride-terminated silicon nanocrystals or nanostructured hydrides have a diameter of about 3.5 nm. They possess optical absorption strength and a surface area that is sufficient enough to efficiently harvest the UV, visible, and near-infrared wavelengths of light from the sun along with a powerful chemical-reducing agent on the surface. This chemical-reducing agent can selectively and efficiently convert gaseous CO2 to gaseous carbon monoxide (CO). The potential outcome is generating energy without any toxic emissions. Making use of the reducing power of nanostructured hydrides is a conceptually distinct and commercially interesting strategy for making fuels directly from sunlight. The U of T Solar Fuels Research Cluster is currently exploring ways to improve the scale, increase the activity, and also optimize the rate of production. Their aim is to develop a laboratory demonstration unit. If the laboratory unit is successful, then they plan to build a pilot solar refinery.